had been promoted separately. Their products were of the highest technical quality, just like those of their only real competitor GE, so no perceived product advantage. Decision makers are passionate about aviation: they love being at the cutting edge of technology. 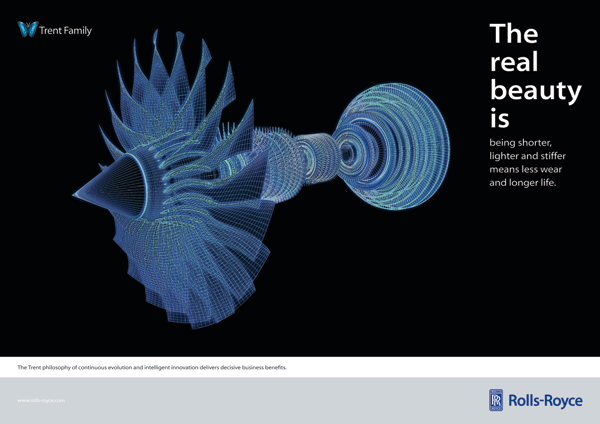 By creating an umbrella campaign we where able to leverage Rolls-Royce’s strength, and carve-out a unique emotional territory for the brand. 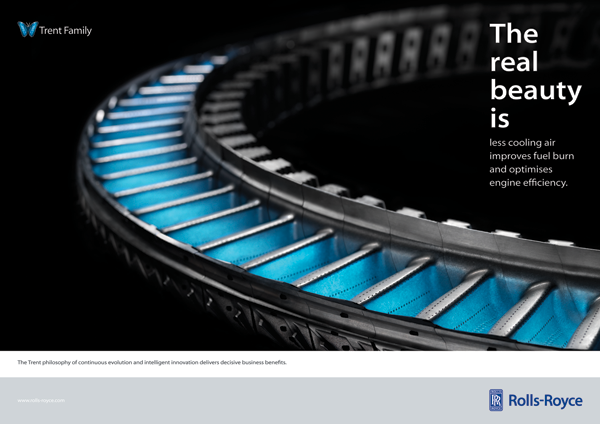 Rolls-Royce are engineers (unlike GE, who make all sorts of products including consumer durables). 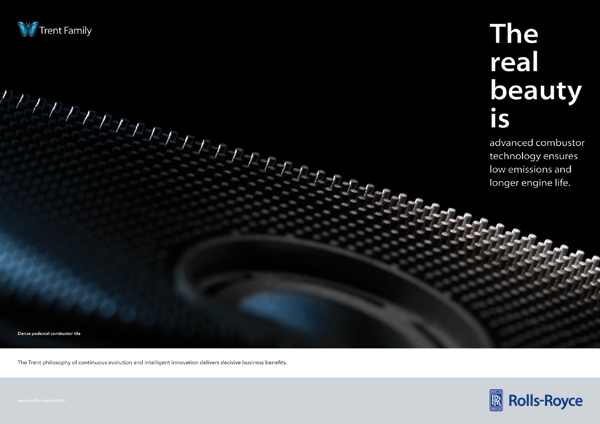 By juxtaposing the sheer beauty of the engineering with benefit-led, functional headlines, we demonstrated that the real beauty of Rolls-Royce technology is the effect it has on an airlines bottom line. 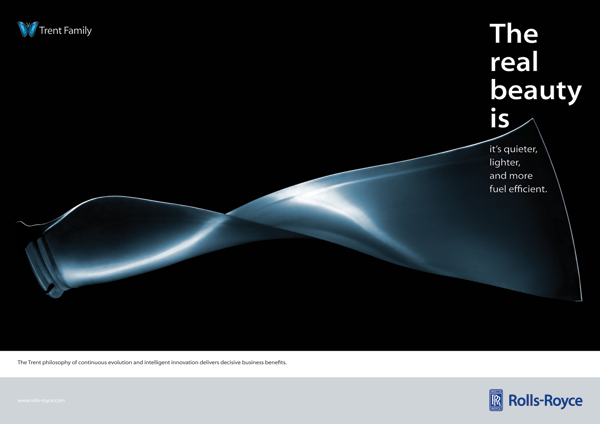 A campaign capable of continuous evolution – just like their engines.